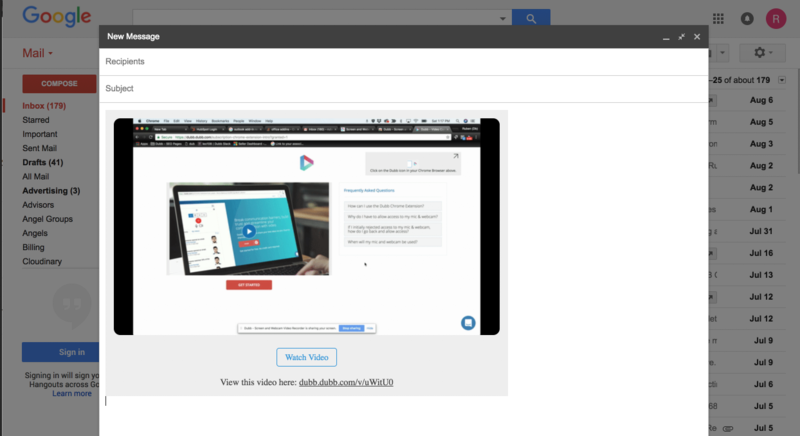 In order to record, upload or select videos from Gmail, you must have the Dubb Chrome Extension. 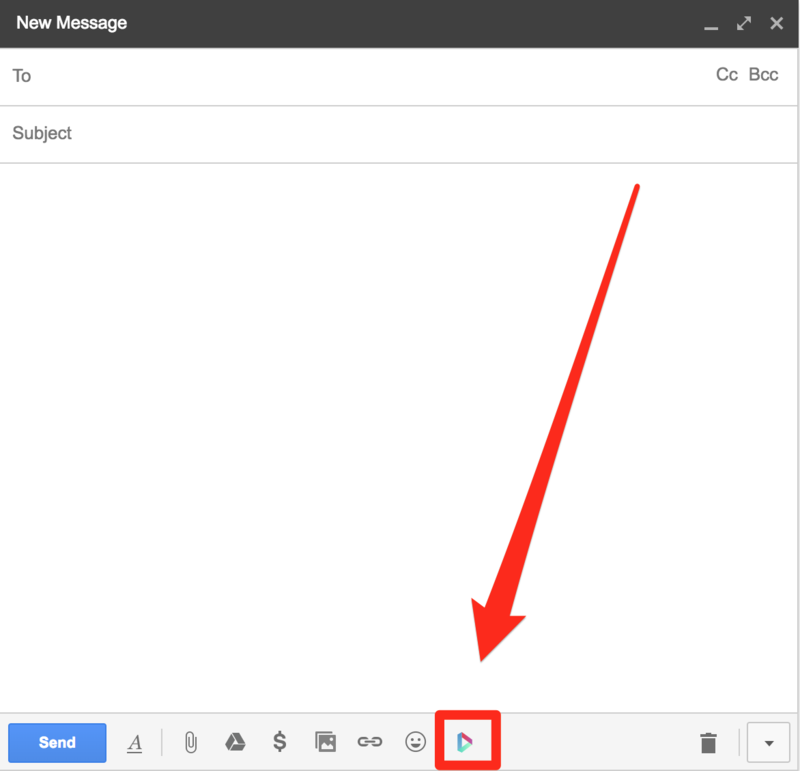 Once you have installed the Dubb Chrome Extension, you will see a small Dubb icon within your Gmail window. 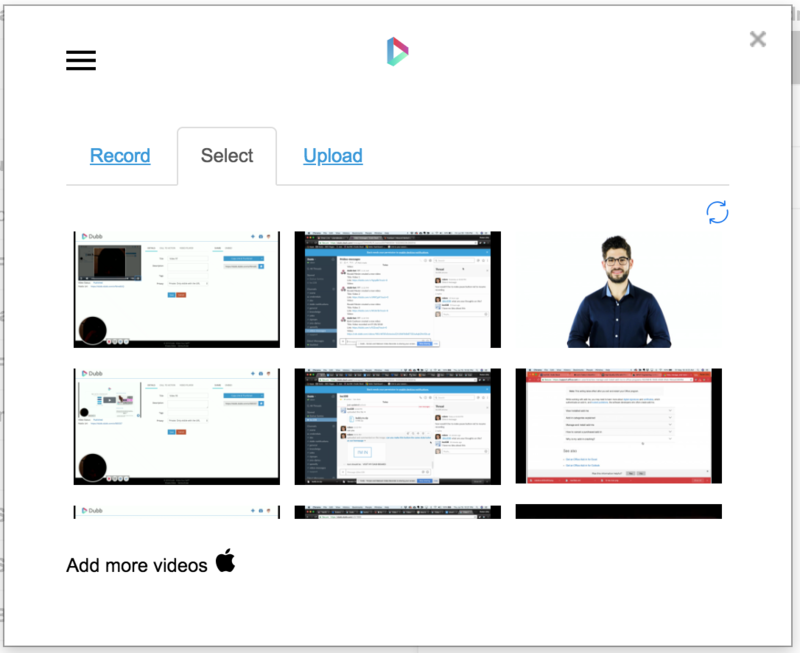 From here you will be able to record, upload or select videos directly from Gmail. 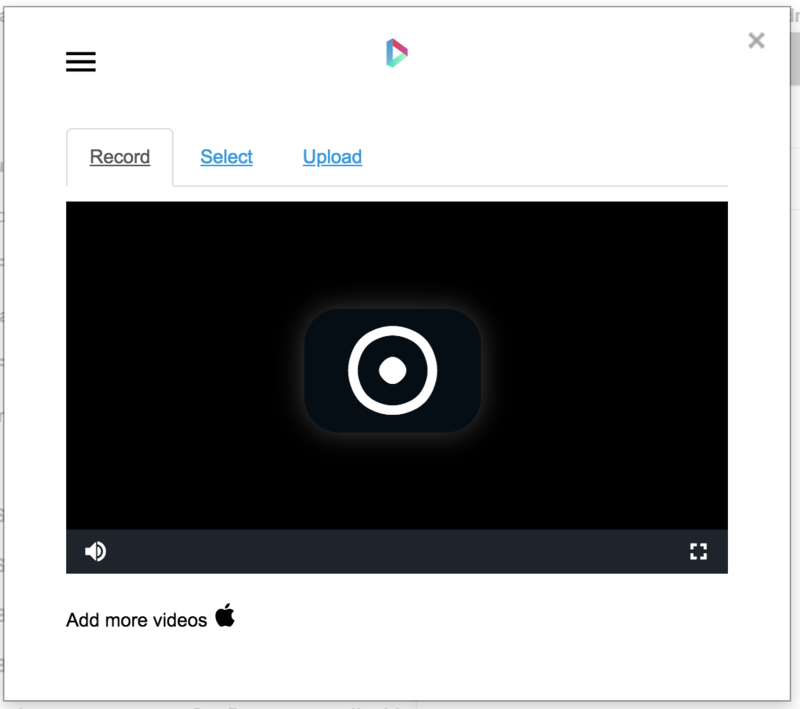 Here is a screenshot of the Record functionality. Here is a screenshot of the Select functionality. And here is a screenshot of the upload functionality. 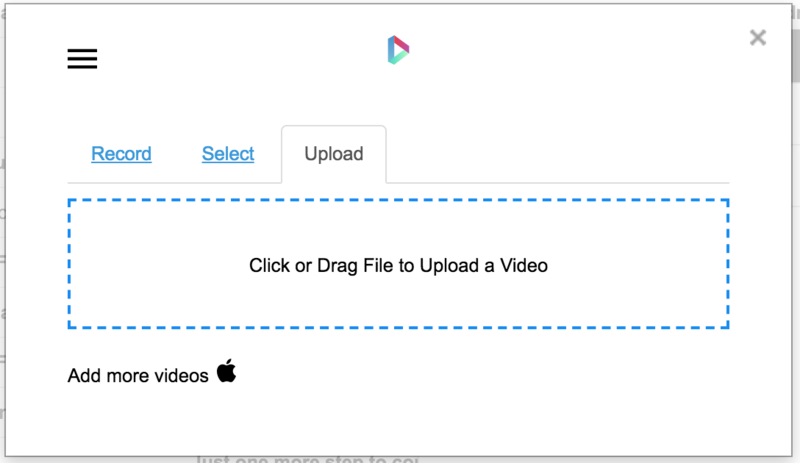 Once you finish adding a video, it will automatically paste into the body of an email with an animated gif thumbnail and tracking capabilities. See below for a screenshot.